As Latter-day Saints, we may struggle with doubts about whether we have done enough or whether we are good enough, and we may be weighed down with self-perceived spiritual failure. Even amidst the joys of life, there are times when we may despair over the weakness in ourselves and in those we love, sensing the horribly wide gulf between us and the Father of our spirits. At these times, we wish, hope, and pray that relief — real relief — could miraculously be just a step away. It is. Scripture and modern prophets both affirm that Christ’s atoning sacrifice provides the justification through which our sins can immediately be pardoned or forgiven. The Atonement also unlocks the door to sanctification, a holy state of being in which we lose the desire to sin. In this engaging and encouraging guide, we see where and how these doctrinal concepts fit into the overall plan of salvation, beginning with our premortal existence and continuing through the eternities. We learn how justification brings immediate relief to our burdened souls and opens the pathway for us to be permanently sanctified. We come to understand what role our own works and efforts play in this process and what roles only the Holy Ghost, the Savior, and our Heavenly Father can fill. And as we grasp these truths, we also grasp hope — hope that we can overcome our own struggles, hope that we can make a difference in the lives of others, and hope that we can all make it back to our heavenly home. What Is My Role and Responsibility? Many times in life I have felt burdened by my own mistakes and the daunting task of getting back to Father in Heaven. Gospel ideals felt out of reach and I too often felt down trodden and without. "Pure Before Thee" has reaffirmed the spiritual freedom I have come to know realizing that the Lord has said "It would be Easy" by taking his yoke upon me and following him and openly accepting his grace. Mr. Line's stories, insights and doctrinal parallels have helped me realize the power available in my life right now and as I try to live a perfect life through Christ. While teaching the marriage and Family class in my ward, I have witnessed many good members of the church who are depressed and discouraged. They have lost hope either in their own life or a life of a loved one. 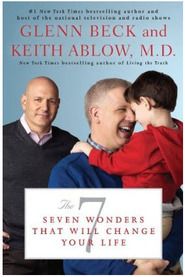 This book brings understanding to those who have lost joy in their earthly venture and have become stuck in their progression. It reminds us that change is possible but more importantly how that works. This is not another book of fluff, but one with sound principles and guidance on applying them in our own lives now. A valuable book for understanding the Atonement more deeply. Few people have a ready definition or explanation of the doctrines of justification and sanctification. Rob Line’s treatment of these doctrines in Pure Before Thee: Becoming Cleansed and Changed by Christ, is easy to grasp and apply into one’s life, enhancing our understanding of the doctrine of the Atonement and giving us greater hope in the plan of salvation. The purpose of the Gospel of Jesus Christ is to help us experience a spiritual transformation or mighty change of heart. The result of that change will be to live our lives so that our direction and strength comes from our Savior, rather than from the world. Pure Before Thee has assisted me in that process, by helping me to grasp how that change happens. The author, an experienced and successful teacher, uses interesting parables, analogies, and stories to illustrate the doctrinal principles he seeks to explain. Drawing from a variety of source material, he writes with clarity in a manner that will keep the reader thinking, and more importantly, inspire them to draw ever closer to our Savior. I read over sixty books each year, and Pure Before Thee ranks among my favorites. 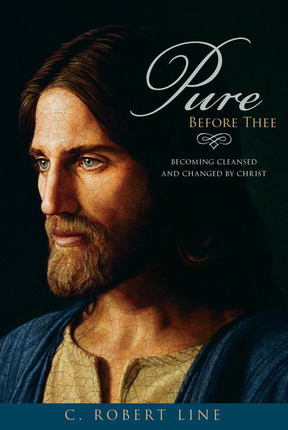 Rob Line's work "Pure Before Thee" is a tremendous contribution to the genre of "atonement literature" available for both members and non-members of the LDS Church. He writes with a passion to share with the reader the central importance of the Lords atonement, and yet couches it in a manner, with stories, analogies, and prose, that stimulate thought, and inspire deep contemplation of the power that flows from the atonement. Specifically, this book focuses on the doctrines Justification, and Sanctification. The author defines not just the terms, but more importantly illustrates the immediate, as well as long term effects of both of doctrines, and how they both apply to our lives now, as well as into the future. I find this book to be a real treasure that enables one to feel hope, and the secure reality that they are loved and valued by an all loving Heavenly Father, and mercy filled Savior.